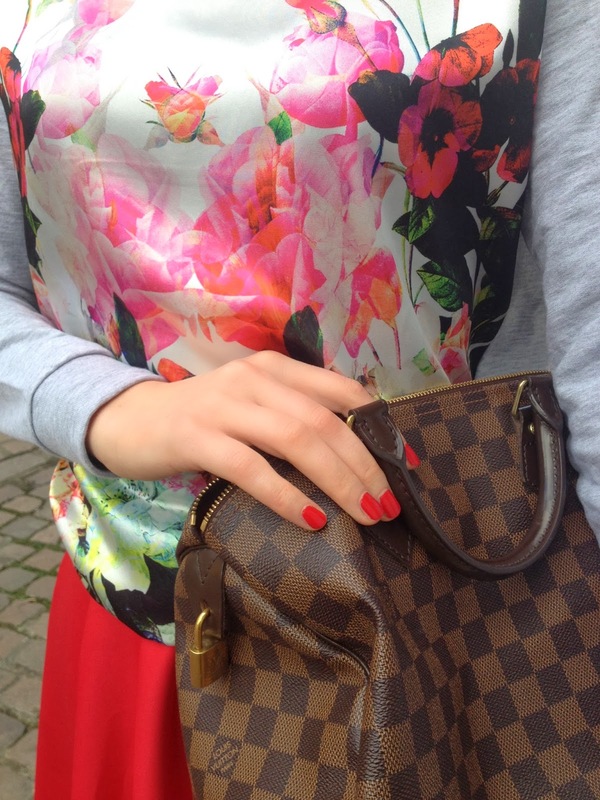 Flower Prints for spring is nothing groundbreaking but year after year it's one of my favourite trends. I've seen this combination on ASOS and was straight away sold. This scuba skirt is just the perfect way to embrace spring and since I was little I dreamed about a scarlet red skirt. I am in love with this absolutley gorgeous! perfect outfit. Colour of the skirt...omg, I am in love. Matches your nails too (if that was deliberate then you're a girl after my own heart). LOVE it! 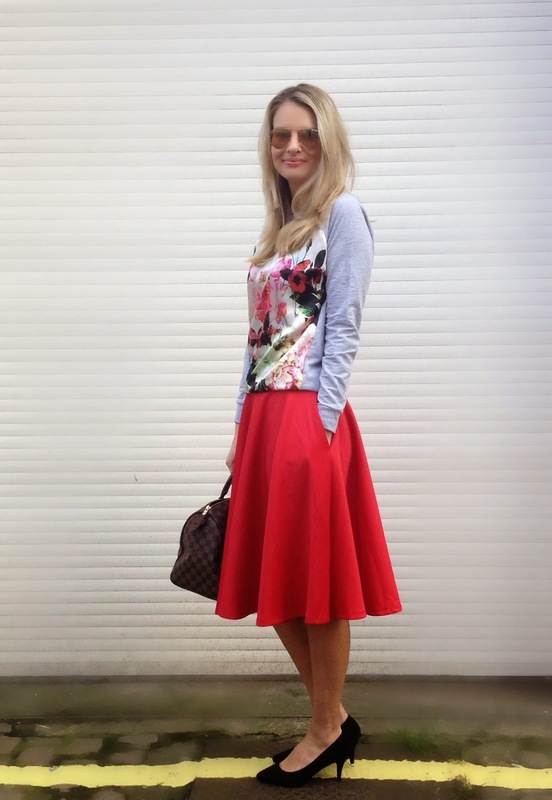 Looks very trendy and smart in scuba red skirt and that Floral prints white top. It suits you very perfectly. Now-a-days people are searching dresses through online because they don’t have free time to shopping malls for purchasing dress materials. So if you want to buy a new designed and fashionable dresses then our online store offering a huge variety of International Designer Fashion Dresses at Affordable price, Fast delivery and Secure Payments. Just visit this. I love that scuba skirt! It's so beautiful!! Lovely outfit! That dark coral suits you very well! Hi! Can you please tell me what size is the skirt and how tall are you? Thank you!